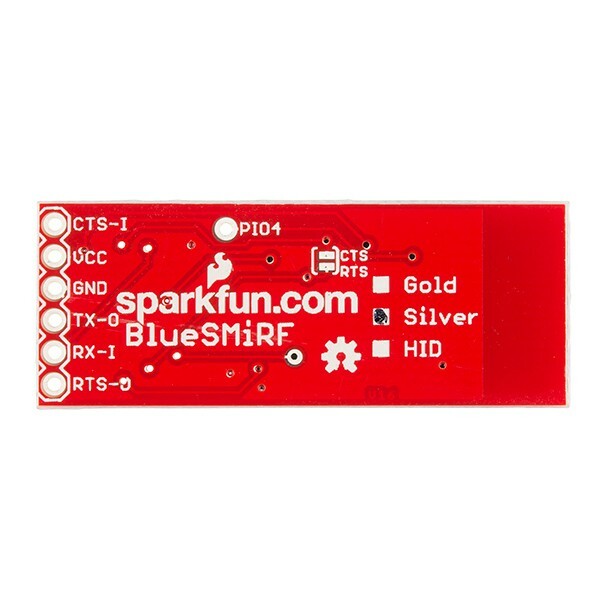 The BlueSMiRF Silver is the latest Bluetooth wireless serial cable replacement from SparkFun Electronics! 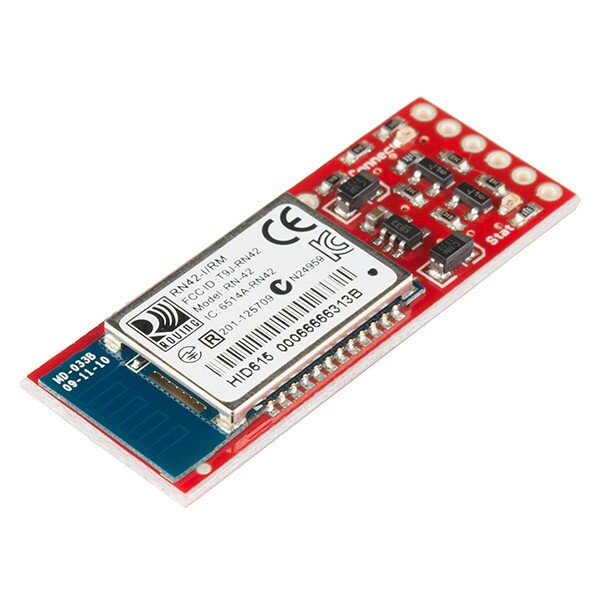 This version of the popular BlueSMiRF uses the RN-42 module which has a bit less range than the RN-41 module used in the BlueSMiRF Gold. 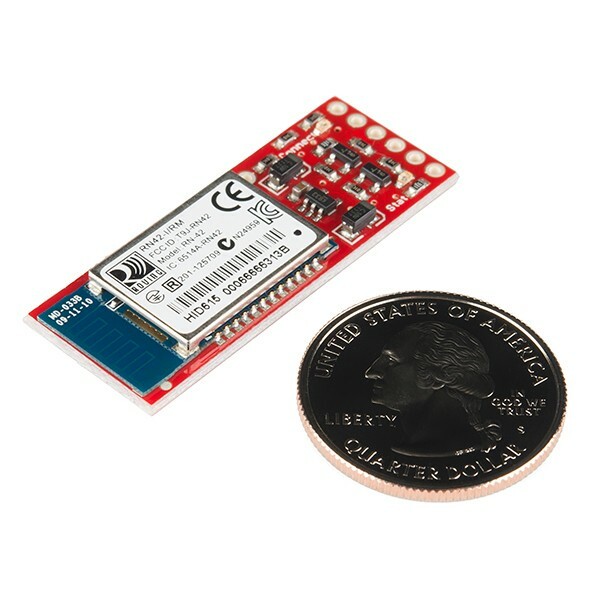 These modems work as a serial (RX/TX) pipe. Any serial stream from 2400 to 115200bps can be passed seamlessly from your computer to your target. The remote unit can be powered from 3.3V up to 6V for easy battery attachment. All signal pins on the remote unit are 3V-6V tolerant. No level shifting is required. Do not attach this device directly to a serial port. You will need an RS232 to TTL converter circuit if you need to attach this to a computer. Unit comes without a connector. Please see related male and female pins below.Specifications:v6.15 FirmwareFCC Approved Class 2 Bluetooth Radio ModemExtremely small radio - 0.15x0.6x1.9"Very robust link both in integrity and transmission distance (18m)Hardy frequency hopping scheme - operates in harsh RF environments like WiFi, 802.11g, and ZigbeeEncrypted connectionFrequency: 2.402~2.480 GHzOperating Voltage: 3.3V-6VSerial communications: 2400-115200bpsOperating Temperature: -40 ~ +70CBuilt-in antennaDimensions: 45x16.6x3.9mmDocuments:SchematicAT Command Set v6.15 RN-42 DatasheetHookup GuideBasic Windows Remote ArduinoBluetooth PrimerGitHub This is a single unit only. 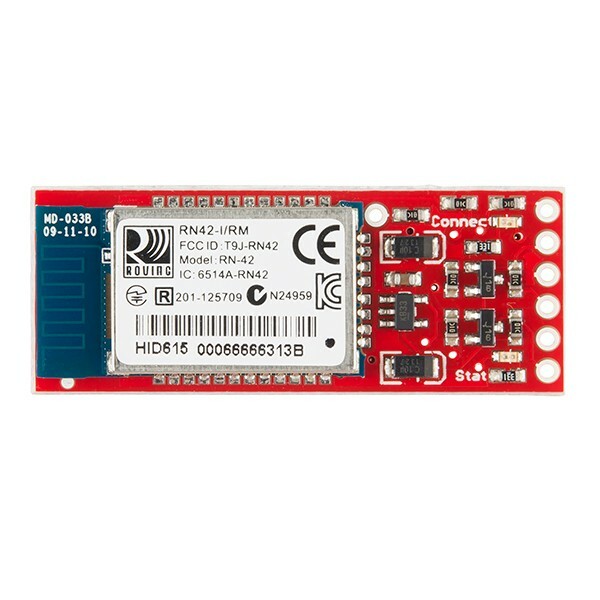 We recommend the purchase a USB dongle to interface to a computer if you do not already have access to a computer with Bluetooth connectivity.